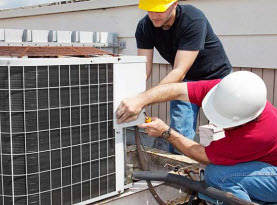 Throughout Hampshire and Hamden County, Massachusetts, commercial businesses and residential homes have been receiving full HVAC system services from Ambient Heating and Air Conditioning since 2003. Being completely licensed, certified, and insured has given us the opportunity to deliver professional quality workmanship. From the beginning, we have strived to set ourselves apart from our competitors by not only producing superior execution on all services rendered, but by applying traditional values such as high moral standards and work ethics, as well as family-friendly customer service. 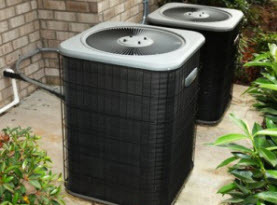 Ambient Heating and Air Conditioning technicians possess advanced training, years of valuable experience, and extraordinary skills that when coupled with high-end products, tools, and equipment sold only to licensed professionals, we assure our customers receive nothing less than premium results. 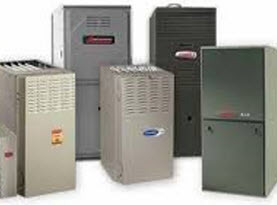 Among the many services Ambient Heating and Air Conditioning performs for the commercial and residential homes, boiler maintenance is included. Many issues that inflict the boiler can be easily avoided with the help of routine maintenance. It is recommended that your boiler receive annual professional maintenance services to ensure ultimate performance, energy efficiency, and extend the life of your boiler. In many instances, warranties are only valid with proof of professional maintenance services as well. No matter what type of boiler your use in your home or business, Ambient Heating and Air Conditioning can conduct a comprehensive boiler maintenance service. 1. Visual Boiler Inspection and Evaluation. Beginning with a visual inspection check is done to evaluate the overall performance and conditions of the components that comprise of your boiler. Pipe work and flue are checked inside and out to ensure efficient installation. Ambient Heating and Air Conditioning technicians will also check the safety of the boiler. –	Gas pressure and flow is checked for adequacy. –	The flue and combustion is ensured the right mixture of gas and air is applied – where applicable. –	Electronic connections are triple checked to ensure connections are tightened, in optimal condition, and are thoroughly clean. –	Electric wires are inspected for any signs of fraying or other damage. –	Fans are checked for performance and durability, as well as cleaned. –	Seals are checked to make sure they are in prime condition. –	Electrodes are scrutinized for any signs of deterioration. –	Safety devices and features are tested and evaluated of performance. –	Condensate trap and piping are cleaned to ensure there is no blockage. –	Thorough cleaning of the boiler inside and out. Following the boiler maintenance service, Ambient Heating and Air Conditioning will present a detailed report of any findings. If any parts need replacing or any problems are occurring or are inevitable, our team will consult with you on solutions. With a properly maintained boiler, you significantly reduce the need for repairs, and contribute to the boiler operating at peak performance to provide you with comfort as well as controlling energy consumption to save on utility bills. 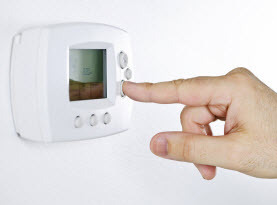 If your commercial or residential boiler across Hampshire and Hamden County, Massachusetts is in need of professional maintenance, call Ambient Heating and Air Conditioning today to schedule it!